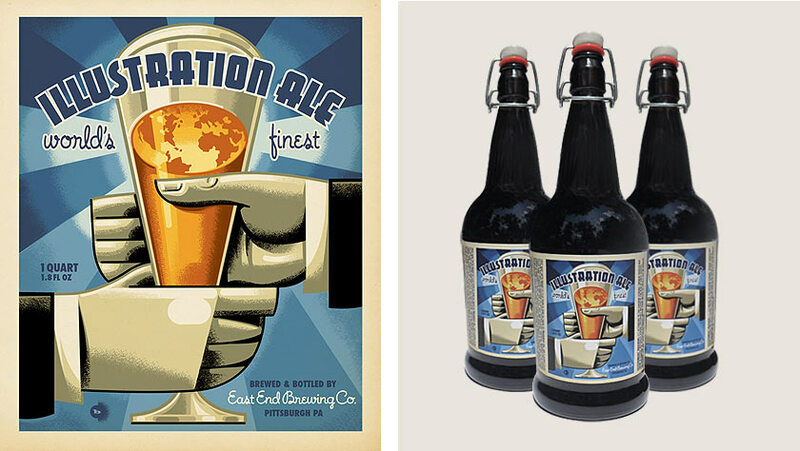 Curated by celebrated artist Wayno for Micro Brewer extraordinaire Scott Smith, six Pittsburgh artists were chosen to illustrate a limited edition release of ILLUSTRATION ALE for East End Brewing. A portion of the proceeds to benefit the ToonSeum, celebrating and promoting a deeper appreciation of cartoonists work. The beer’s pretty good too. All images copyright 2013 Mark Bender - Not to be reproduced in any form without permission.